Andrei Batalov (Rus Андрей Баталов) and Oksana Bondareva (Rus Оксана Бондарева) in Le Corsaire pdd, music of Adolphe Adam, choreography by Marius Petipa. Royal Ballet Gala 2015, shot on 24.10.2015 in Nordea Concert Hall, Tallinn. Oksana Bondareva (Rus. Оксана Бондарева) is currently soloist with Mariinsky Ballet. She was born in Dnepropetrovsk (Ukraine). In 2002 she graduated from the School of Dance of the Dnepropetrovsk Academic Opera and Ballet Theatre, joining the company the same year. In 2005 she graduated from the Dnepropetrovsk Theatre and Arts College, having specialised in choreography. From 2005-2009 she was a soloist with the Russian National Radchenko Ballet (Moscow). From 2008-2009 she trained at the Moscow State Academy of Dance. From 2009-2014 she was a soloist with the Mikhailovsky Theatre where she performed lead roles in ballets from the classical repertoire. Oksana joined the Mariinsky Ballet in 2014. Andrei Batalov (Rus. 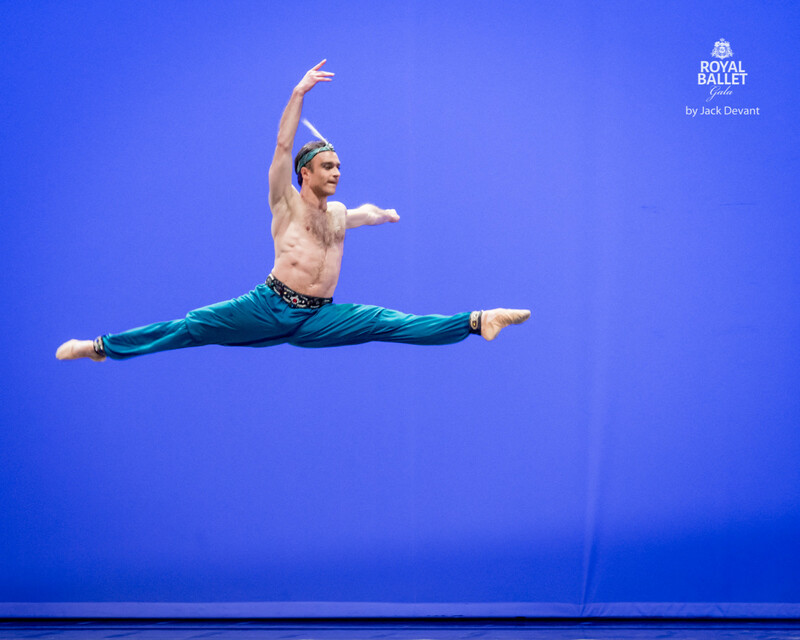 Андрей Баталов) is currently a First Soloist with Mariinsky Ballet. He was Born in Izhevsk, Udmurtia. He graduated from the Vaganova Academy of Russian Ballet (class of Professor Valentin Onoshko). From 1992-1994 he was a soloist with the St Petersburg State Academic Musorgsky Theatre of Opera and Ballet. Joined the Mariinsky Ballet in 1994. From 2000-2002 he danced with the Royal Danish Ballet and then returned to Mariinsky Theatre.